After failing to secure funding from the Western Australian Government, Greyhound Australia’s management has today decided to keep running a minimum of three services per week on the Perth to Broome route until September. The national coach company – based in Queensland – has been forced to slash the number of services on the WA route over the past two years due to an increasing number of people opting for alternative transport methods. North Metropolitan MP Ken Travers last month said changes in the movement of passengers and freight have put "immense" pressure on the Perth-to-Broome route. "Greyhound Australia has been running the service at a substantial loss of somewhere in the order of $600,000 to $800,000 per annum," Travers says. As a result, the national bus company cut its services from seven days a week to five days, and then on March 27 this year, reduced it to only three days per week. 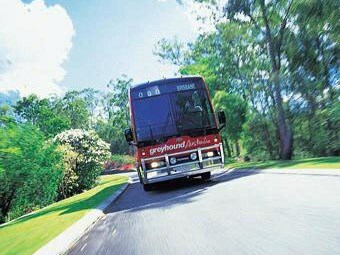 In a bid to restore its services, Greyhound approached the WA Government about the problems it was facing. Travers suggested the Government could emulate the support given to transport operators in Queensland, by providing Greyhound with a $650,000 subsidy. In spite of Greyhound’s concerns, the Government opted for a cut in routes rather than a funding boost. Greyhound CEO Robert Thomas says the WA Government has told the company a three service per week run would satisfy residents along the route, as well as making it more financially viable. "Greyhound Australia has agreed to run three services per week as part of a trial to see if the State Government’s numbers are correct and the route will become more viable," he says. This will continue unless revenue numbers continue to decline, at which time it will hold further talks with the Government. "Greyhound’s preferred option would be a seven day a week service but this would only be possible with subsidies and the Government has told us it would not provide any contribution as it does not believe a service more than three times per week is necessary," Thomas says. "For the past two years, we have continued to run this service despite declining viability in an effort to try and salvage vital transportation services for Western Australia. "The clear commercial decision would have been to pull out of the route all together but we are willing to test the State Government’s assumptions around no revenue leakage as a result of lower service frequency." Thomas goes on to say that under the deal struck with the Government, should Greyhound find the route continues to be unviable it reserves the right to terminate all services or only run seasonal services. "We have agreed to give the Government a week’s notice should this be necessary and will also provide the Public Transport Authority with monthly updates of passenger pickup and set down numbers to show how the new timetable is performing," he says. Under the new timetable agreed to with the Government, the feeder service from Kalbarri and Monkey Mia will not be reactivated.